If your building is heated and cooled with a geothermal heat pump (also known as a Ground Source Heat Pump), the only information you need to enter is the electricity used by the system to heat and cool. You do this through a regular electricity meter. It’s fine to have a single electric meter that tracks both the electricity for the Geothermal Heat Pump and the electricity for the lights, plug load, etc. 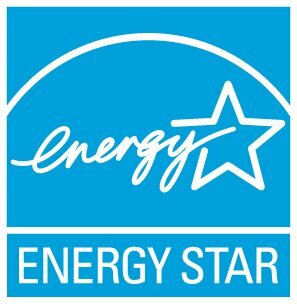 You don’t specifically earn “points” in the ENERGY STAR score for having a geothermal system. Rather, use of efficient technologies will result in a higher score when those technologies lower your actual energy bills. For example, similar to the use of LED lights used in place of incandescent light bulbs, a geothermal heat pump should use 3-4x less energy than standard electric resistance heating, and roughly 2x less energy than a gas fired system. If your site and source energy look too high or your score is too low, you may need to commission your system to make sure it is operating as intended. Geothermal isn’t considered Green Power in Portfolio Manager. The EPA defines Green Power as electricity produced from solar, wind, geothermal, biogas, eligible biomass, and low-impact small hydroelectric sources. Your Geothermal Heat Pump is probably not producing electricity, but providing really efficient heating and cooling. If you are generating electricity with your geothermal heat pump (which we don’t know of anyone doing this at the property level), then let us know and we can consider adding Geothermal as a meter type, like Solar and Wind.